Ohrid, Macedonia should top your 2017 Travel List. This time is the famous american magazine "The Vogue", writing an article for 6 Balkan places that everyone should visit during 2017. "Unbeknownst to most, these countries are just the outset of exploration into the Balkans region, home to a number of culturally vibrant and naturally impressive countries where you won’t run into troves of tourists: You can dine alfresco at family-run, waterfront restaurants, and you don’t have to dodge selfie sticks while enjoying castle-top views. " Locals stroll along a cobble stoned walkway, canoes drift in the lake’s oscillating waters, and a choir practices on the Church of St. Sophia steps as dusk begins to set: Welcome to Ohrid, Macedonia, an utterly perfect town full of Old World charm, set on the banks of brilliant Lake Ohrid. "This UNESCO World Heritage Site sits at the intersection of three national parks, attracting hikers, bikers, and climbers to town, as well as those in search of a holiday, and it’s also the perfect place to enjoy Macedonia’s flourishing wine harvest", writes the Vogue. 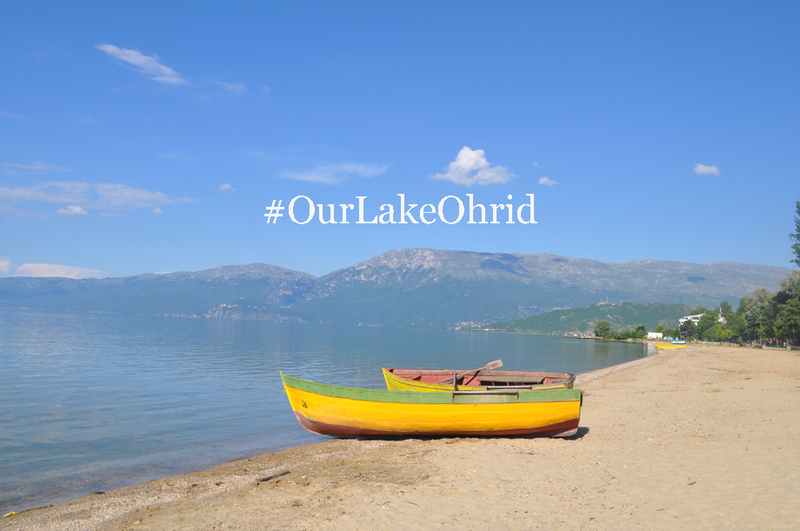 Stay in one of Ohrid’s many lakefront properties like Hotel Tino, or opt inland at Villa St. Sophia or Vila Mal Sveti Kliment. 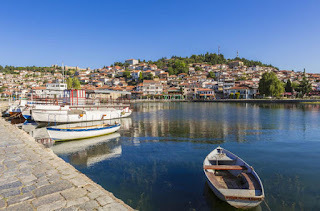 Wander Ohrid’s old town: Pass homes decorated with bougainvillea, flower pots, and ivy until you reach Kaneo Beach, home to family-run Restaurant Kaj Kanevche. End the night at Jazz Inn, a dive-bar-meets-live-music venue where locals convene. 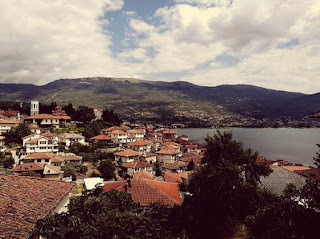 Visit Ohrid’s most photographed landmark, Church of St. John at Kaneo, and view the city from atop Samuel’s Fortress. For scenic views, take a drive through National Park Galičica to neighboring Lake Prespa, and enjoy an evening boat cruise to Restaurant Ostrovo set near the Black Drim River and the Monastery of Saint Naum. 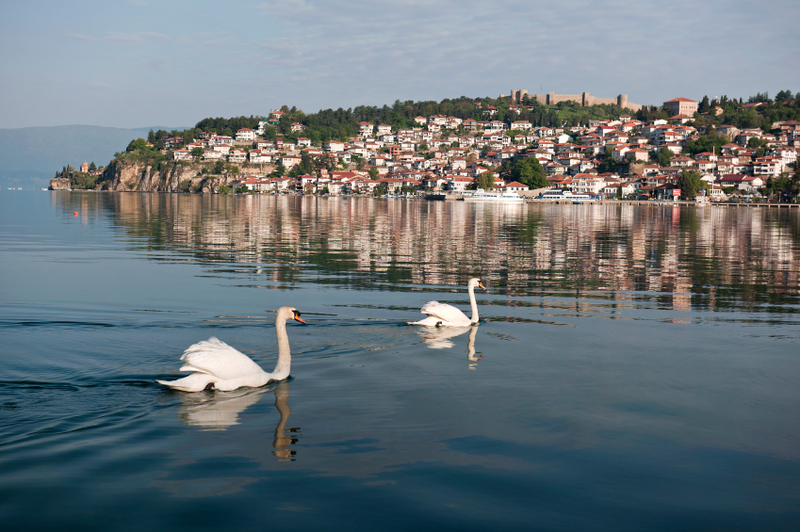 Located on the shores of Lake Ohrid, the city of Ohrid is one of the oldest human settlements in Europe. 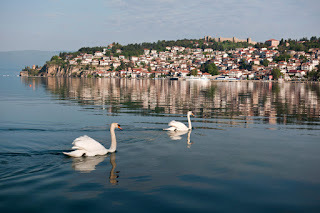 Ohrid, the wider lake region is a prime destination for Former Yougoslav Republic of Macedonia, with the city's old quarter containing beautiful churches along a graceful hill, topped by a medieval castle overlooking the majestic 34 km-long Lake Ohrid. 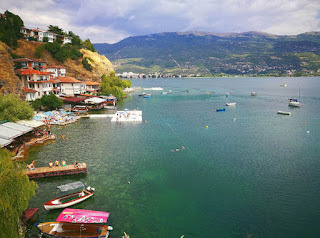 This is undoubtedly the most alluring attraction of the Lake Ohrid region. 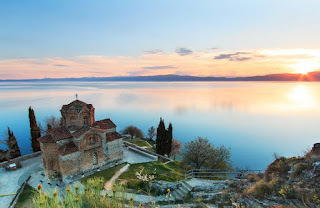 Built mostly between the 7th and 19th centuries, Ohrid is home to one of the oldest Slav monasteries (St Pantelejmon) with more than 800 middle Byzantine icons dating from the 11th to the end of the 14th century. This icon collection is considered to be one the most important in the world. Ohrid comprises one of Europe's best preserved archaeological complexes with remains dating from the Bronze Age up to the Middle Ages, The city boasts unique religious architecture dating from the 7th to 19th centuries as well as urban structures showcasing a vernacular architecture from the 18th and 19th centuries. All of these present a treasure of historic, architectural, cultural and artistic values. Ohrid's major attractions are all located within a remarkably concentrated and easily accessible area, among and above the narrow streets of the Old Town lined with restaurants and cafes perfectly suited for relaxing against the backdrop of the lake. Top attractions in the city include : Sv. Jovan Kaneo, Sv. Naum Monastery Galicica, National Park Tsar Samuel's Fortress, Saint Sophia Church, Sv Kliment Monastery, Plaoshnik Church. Ohrid's many cafe bars and nightclubs make for a vibrant nightlife. As for the lake itself, it is so large and so deep that one might mistake it for a sea. For water sports lovers, fishing and boating are available, and numerous churches alongside the lake shores make for fascinating side trips and walks; while nature and adventure travellers can explore the National Park of Galicicia, an unspoiled wilderness ideal for nature enthusiasts. To gain a better feeling of the city, we recommend a gentle stroll along Lake Ohrid shore having a coffee, a glass of wine or a meal overlooking the lake. 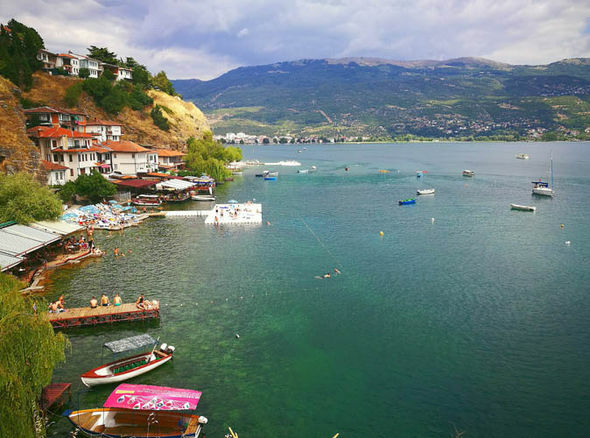 Ohrid and its beaches are packed from 15 July to 15 August, during the popular summer festival when it seems half of Macedonia descends on the town. The bars and restaurants are full during the summer, while June or September are much quieter enabling one to reflect next to the lake.